Staff Sgts. 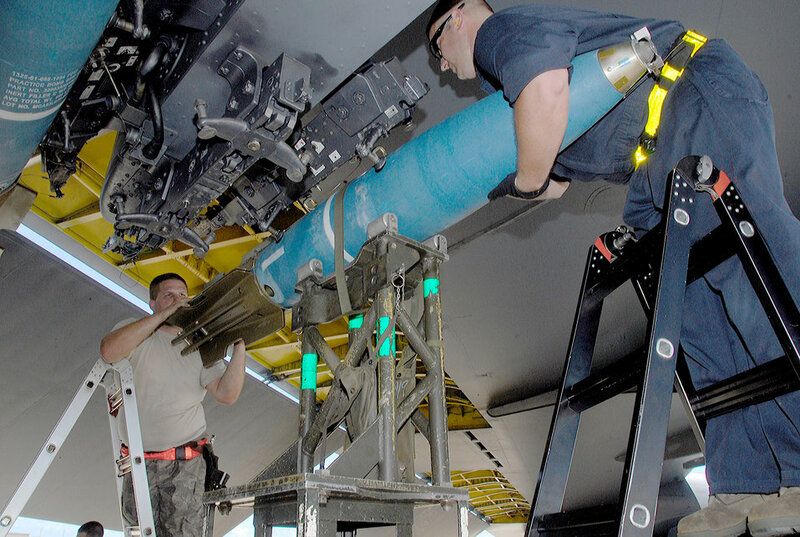 Dustin Hyden and Doyle Atkinson upload Mk 62 Quickstrike naval mines onto a B-52 Stratofortress during Exercise Valiant Shield Sept. 14, 2010, at Andersen Air Force Base, Guam. The joint exercise focuses on integrated joint training and interoperability among U.S. military forces. The Airmen are assigned to the 36th Expeditionary Maintenance Squadron.